Another day, another daily deals roundup. For today, we have found quite interesting deals on Amazon on headphones. The products we have added in the list down below are from brands like iBall, Intex, and more. If you’re looking for a wireless headset within a limited budget then we’ve got you covered. Today, Amazon is offering a handsome discount on wireless headphones. The deals are available on the platform for a limited period of time. So, let’s take a quick look at the deals. The Intex Desire BT Over-Ear Bluetooth Headphone is compatible with a wide range of devices such as smartphones, laptops, tablets and more. The headphone also has an LED indicator that lets you know the power level of the device. Besides regular Bluetooth streaming, the headphone is equipped with an AUX port and a TF card slot as well. Click here to buy. The iBall Musitone A9 Bluetooth Headset features a built-in mic, which lets you answer calls when your phone is connected to it. The headphone comes with a tangle-free flat cable, which ensures that users don’t have to indulge in detangling wires all the time. The headphone can be connected to up to 2 devices at once. Click here to buy. The Thrumm Rumble Over-Ear Headphone is Bluetooth 4.1 enabled and works within a range of 10m from a connected device. The headphone comes with a built-in mic and ear cup mounted controls to manage volume and audio tracks easily. As per the company, it can provide up to six hours of audio playback in one go. Click here to buy. The iBall Musi Sway BT01 is a wireless over-the-ear headphone, which features a swivel ear cup design that enables easy storage. The headphone is equipped with a microSD card slot and an AUX port as well to stream music via an AUX cable. Click here to buy. 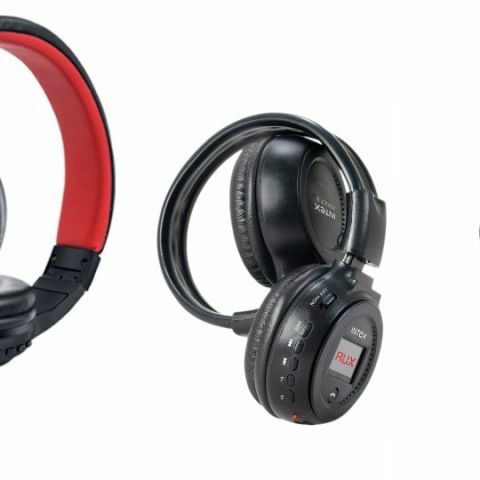 The Intex Jogger B Multimedia Headphone is Bluetooth 3.0 enabled. The headphone comes with an LED display along with an SD card slot and an AUX port as well. The headphone is compact in size and foldable as well, which means you can fold the headphone cups and store it anywhere easily. Click here to buy. how to get root authority on intex cloud x3 ?